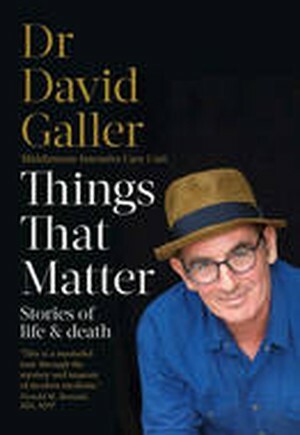 In this highly articulate, down to earth, generous and thoughtful book, Dr David Galler tells stories of life and death from his position as head of intensive care at a busy city hospital.Weaving his own personal stories throughout - including the death of his parents - David frames a number of chapters around key organs such as the heart, brain, kidneys, talking about their physical nature as well as their importance emotionally and holistically. He discusses wider issues like difficult conversations with patients and the doctor-patient relationship in general as well as broader topics like organ donation.While Things That Matter isn't sentimental or mawkish, neither is it clinical. It's an intelligent read, and an eye-opener for those not in the medical world. David doesn't shy away from the political either, and covers topics like treating people not diseases; where medicine has gone wrong and how we might fix it; and when doing less can be more and doing things differently can be life saving for patients.